A Hinduism and Buddhism research paper is an examination of Hinduism and Buddhism and offers a unique perspective into how two religions with relative origins can be both diverse and similar in the key beliefs, values and philosophies that they ascribe to. Although Hinduism is the older of the two, Buddhism has its origins in the same geographical region and among a similar population. As a result, both religions have demonstrated varying degrees of assimilation and integration throughout history. A review of the literature will demonstrate that both Hinduism and Buddhism have an ideological basis that is firmly implanted on the goal of assisting followers in developing a strong personal spiritual life over one that is manipulated by the tenets of ritualistic or socially influenced religious structures. This is in sharp contrast to many of the world’s most prolific religions, which form much of their basis observing ritualistic traditions as a means to develop or confirm spirituality. Finally, the research will demonstrate that, although neither religion is as prolific or largely embraced as religions like Christianity, Judaism or Islam, their ideologies nevertheless offer values and concepts that are as timely and relevant as they were when they were originated. Even more, they provide a much needed basis for personal spiritual awareness and development in a world that is becoming increasingly secular-oriented. 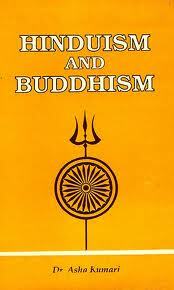 Hinduism shares many elements with Buddhism, as it served as the foundation for that religion’s development. An exceedingly ancient religious tradition whose origins date back over 4000 years, Hinduism remains prevalent and influential today, encompassing a flock of nearly 850 million believers. Buddhism in China - Buddhism in China research papers investigate the spread of Buddhist teachings in a country where Confucianism rules. Zen Buddhism - Zen Buddhism research papers dissect the sector of teaching by the Buddha that looks for enlightenment. Paper Masters writes custom research papers on Hinduism and Buddhism and explore Buddhist beliefs and Hindu traditions.